The sleek new Surface Laptop comes with it, and so do $300 two-in-one tablet PCs for education. But exactly what is Windows 10 S, and how is it different from other versions of Windows 10? The “S” in Windows 10 S doesn’t stand for anything, although Microsoft throws around words such as safe, secure, streamlined, superior performance, simple and student to explain it. Standardized and super locked down might be closer to the mark. This is a full version of Windows with some limitations, one that’s designed to start up quickly, have long battery life, and keep working properly month after month after month, without resets or support calls. The education market is the first focus for the Windows 10 S push. To some extent, “Windows 10 in S mode,” as Microsoft frequently refers to it to emphasize that this is the full version of Windows underneath, is a reaction to the danger posed by competition from Chromebooks. A key point is that devices you’re relying on in a classroom need a battery that lasts all day, because they have to work in the last lesson of the day as well as the first. Another is that schools are usually short on IT resources, so they’re looking for simpler management options that rely on the cloud. But education is only the first market for Windows 10 S, and Microsoft wants home users and even enterprises to see its advantages as well. And simpler management does appeal to a lot of enterprises; last year 83% of the businesses in a CCS Insight enterprise survey said they planned to “converge their PC management and Enterprise Mobility management strategy and teams” and use Mobile Device Management (MDM) to manage PCs as well as phones. The point of all the locking down that Windows 10 S does is to keep Windows feeling shiny and new, or pristine, as Microsoft puts it; “We want to make sure that users have a pristine experience with Windows 10 S,” said Samji. It strives for that pristine state in several ways. 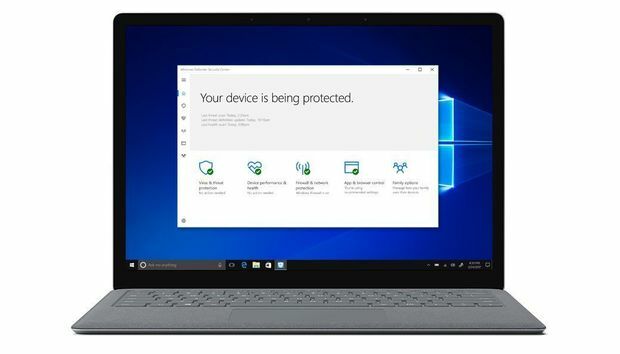 First, Windows 10 S starts with all the features in Windows 10 Pro (there’s even a Windows Insider option), which means it includes new security protections such as code integrity checks. More significantly, this is a Windows that restricts which applications you can run (they have to come from the Windows Store) and that explicitly removes key enterprise management technologies. Windows 10 S can’t join a domain or use Active Directory; instead, it connects to Azure Active Directory, which means there are no log-on scripts or startup applications to slow down start time. That removes Group Policy, a feature that gives IT admins control but also slows systems down and makes Windows fragile. And the registry keys that implement it let power users tweak their setup, which isn’t conducive to pristine devices. Instead of Group Policy, it’s managed the way smartphones and tablets are, using MDM tools and cloud identities. To appeal to the schools it hopes will be the first big customers for Windows 10 S, Microsoft has a version of its Intune cloud management service especially for the education market, and it offers tools to set up accounts and language and Wi-Fi settings and to install apps – either online or via a USB stick that teachers or admins plug into Windows 10 S devices. The registry is still there, but Windows 10 S doesn't have the Registry Editor that applications can use to change system behavior. That also means users can’t tweak things in lamentable ways, and registry “cleaner” utilities likely to cause problems are blocked. With normal desktop software, any application can add and change registry keys and file associations. Because Windows 10 S only runs software from the Windows Store, all the apps use a virtualized registry, so one app can’t affect the settings another app uses. Windows Store apps can be uninstalled cleanly, so you can try out apps without worrying that they’ll add unwanted services and applications that can reduce performance and battery life — another thing that makes Windows 10 S less fragile than Windows 10. Not everyone will realize it’s software they’ve installed that slows Windows down, and even if they do it can be tricky to remove cleanly. The restriction to Windows Store apps also limits the apps that OEMs can preinstall on devices; they can’t add a different antivirus client from the built-in Windows Defender or add utilities that intercept website certificates and allow them to inject advertising. Limiting Windows 10 S to the Store may not be as much of a limitation as you might think. For example, if you want to use the scanning feature in your multifunction printer (something you can’t do with just the device drivers delivered through Windows Update), most hardware vendors have Store apps for their recent devices with these kinds of features. There’s no command line in Windows 10 S – neither the Microsoft-DOS-style command console nor PowerShell – and no scripts that could introduce malware or change settings to degrade performance and battery life. That means you can’t sideload your own apps, even if you have the code. And you can’t add a command-line tool. Not all apps available from the Windows Store will run on Windows 10 S. For example, because Windows 10 S lacks the Windows Subsystem for Linux and the command line, the Linux distros in the Windows Store won’t work. But Linux binaries are exactly the kind of arbitrary code that Windows S is designed to keep off your system. Even if Microsoft packaged up Visual Studio Code for the Store, it would produce code that you couldn’t test or run on a Windows 10 S device. You can install desktop applications on Windows 10 S, but only if they’ve been sandboxed by Microsoft’s Desktop Bridge tool and come through the Windows Store. That’s how you can get Office 2016; you download Office Home and Student from the Store and get desktop versions of Word, Excel, PowerPoint and Outlook. Other software publishers using the Desktop Bridge tool to deliver software include Evernote, Slack, Spotify, Turbo Tax and — when the Fall Creators Update is available — iTunes. If you download an application that is blocked on Windows 10 S, it won’t install. But if there’s a version of the same software – or what Microsoft considers to be a comparable app – in the Windows Store, the error message will include a link to download that instead, and it will give you the option of upgrading to Windows 10 Pro so you can go back and install the software you want. Businesses that need a different browser or a desktop tool that isn’t in the Windows Store can turn to remote desktop apps; for example, Citrix Receiver is in the Store. Although Windows 10 S devices aren’t just for schools, some devices are only sold to educational institutions, and schools are given other privileges as well. For example, Windows 10 S ISO is available on the Microsoft Developer Network so schools can put it on their existing hardware and IT departments can test it. But if you’re a consumer, you can’t buy Windows 10 S to upgrade your existing PC; you have to get it on a new PC. “Getting [Windows 10 S] from the manufacturer allows us to guarantee a great experience with the right drivers and defaults,” Samji explained. That includes having Active Hours turned on and set to the school day, so that Windows 10 S machines won’t update or restart during class or business hours, but instead wake themselves up at night to update and service the system. On older PCs, the BIOS settings may need changing to make that work properly, something that Microsoft now checks for when it certifies new PCs as Windows-compliant. Currently, Windows 10 S is running only devices with Intel processors. Although Microsoft hasn’t announced anything yet, it seems likely that Windows 10 S will be one of the options for the new ARM-based Windows devices planned for later this year, which should extend the battery life even further. If the limitations of Windows 10 S mean it’s not right for you, you can switch any device that comes with it to Windows 10 Pro. Schools can switch to Windows 10 Pro Edu at any time and at no cost. It’s a little more complicated for consumers. If you pay $799 or more for your Windows 10 S device, you can switch to Windows 10 Pro for free, for a limited period. The initial date has already been extended by three months, until March 31, 2018, and Samji suggested that Microsoft would “continue to re-evaluate” how long the offer would be available. When it does end, you’ll still be able to upgrade, probably for the same $49 that it costs to upgrade a sub-$799 Windows 10 S device to Pro. Switching to Windows 10 Pro doesn’t wipe your system; your files, applications and browser favorites will still be there. And if you switch to Pro because an app you needed isn’t available in the Windows Store but then later it does pop up there, you can switch back. Of course, you might also decide to go back to 10 S because you miss the simplicity and extended battery life. Going back is more disruptive, though. You can download an image from the Surface website that you can use to reset a device back to Windows 10 S factory defaults by using a USB stick; that will delete your files, apps and accounts completely. Don’t confuse that with the push-button reset that you can do on either Windows 10 S or Windows 10 Pro; that reinstalls the same version of Windows. But Microsoft is also hoping that you won’t want to switch away. “Windows 10 S is the mode we’d like users to be in, because we think it provides the most pure Windows experience,” Samji said. How true that is for you depends entirely on what you need.